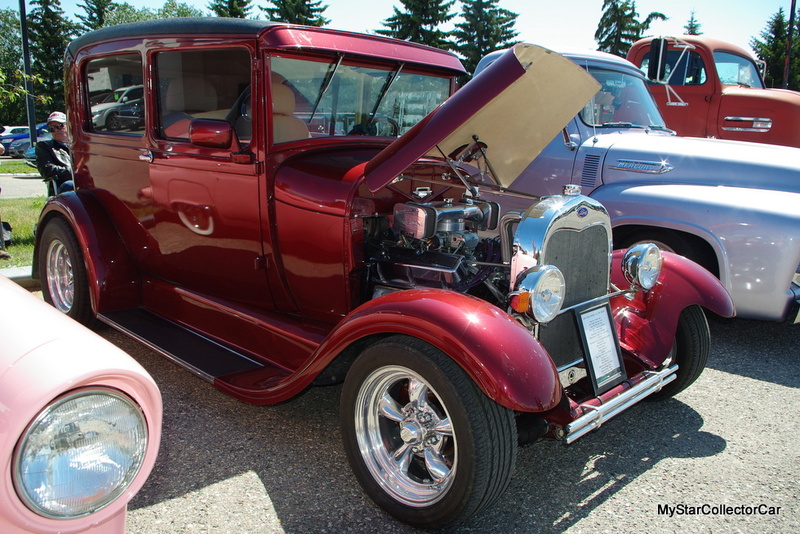 Russ Peden is the proud owner of one of the nicest 1929 Model A custom two-door sedans in the world. 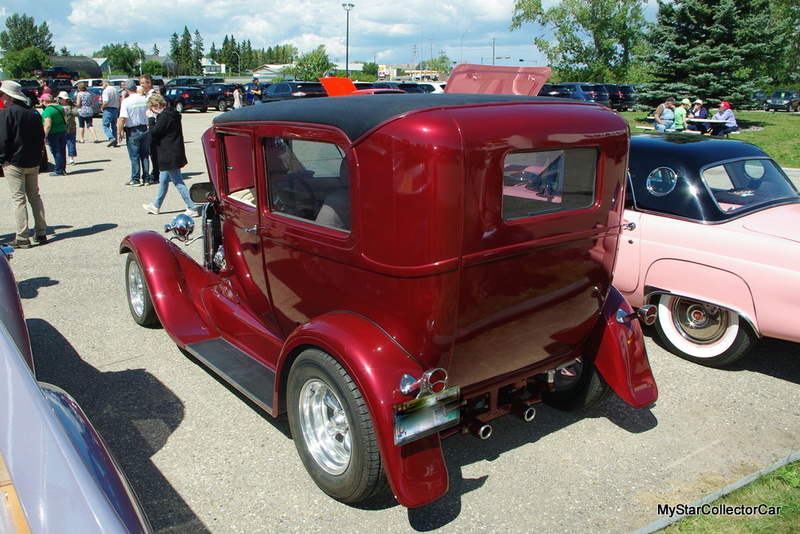 Russ has every reason to be proud of his car because he built the custom ride over a 76 month period. 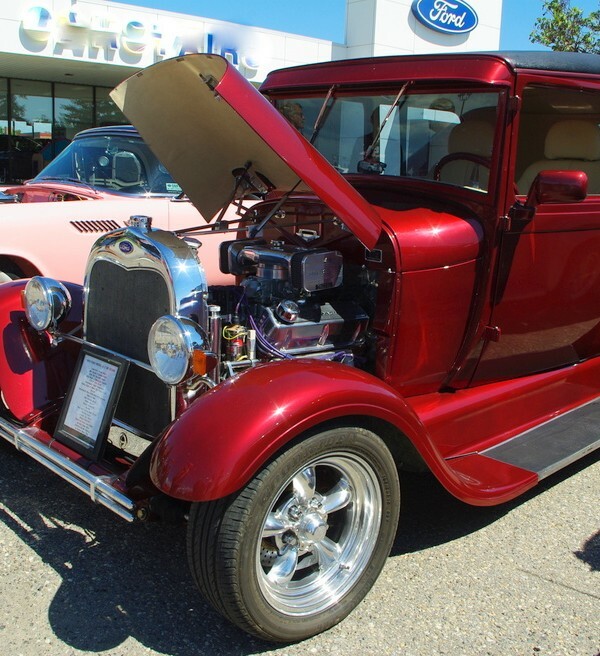 Russ is not trained in any specific automotive trade but he has been actively involved in the car hobby for many years and learned from his extensive experience working on cars. 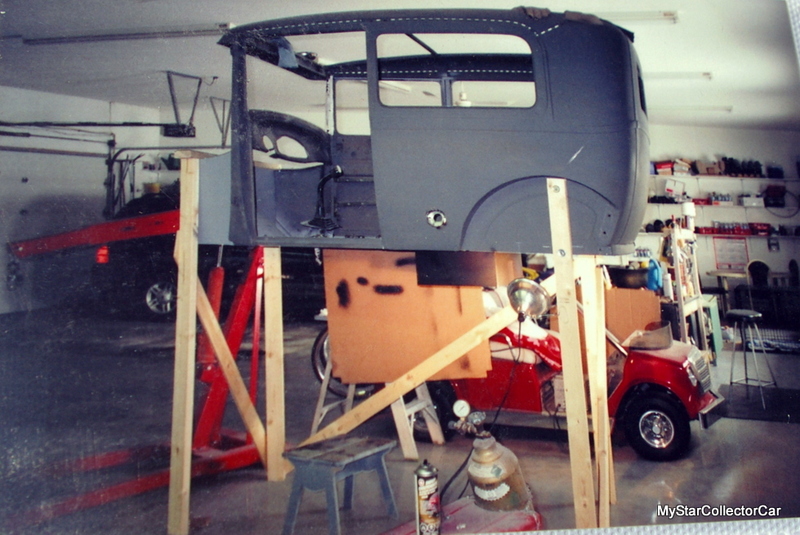 Russ employs a patient, careful approach to a project and his work on the ’29 Ford is a testimony to his high level of skill. He bought the body from a car guy who sand-blasted the body and applied an epoxy primer to the car’s outer surface. The car was essentially rust-free, in Russ’s view, and allowed him to begin the build process on it without that metal problem. 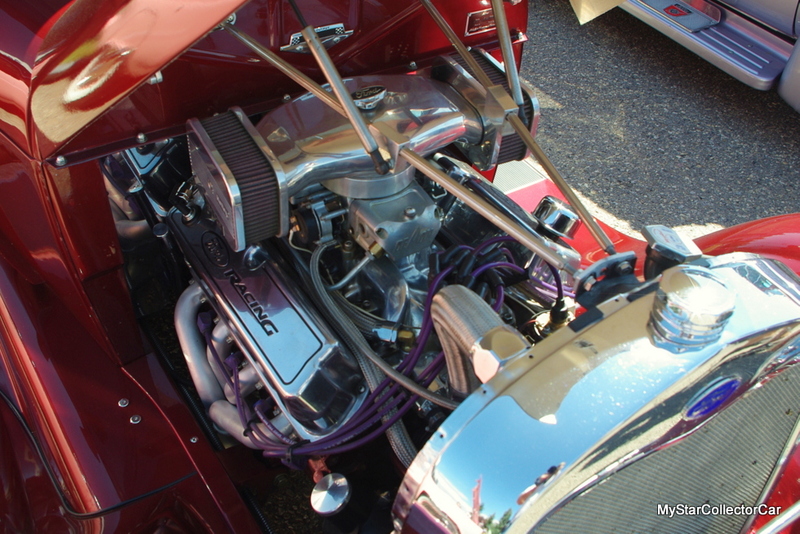 He started with a custom frame that could handle the extra horsepower produced by a very lively Ford 302 HO small block mated up to a Ford automatic overdrive transmission. 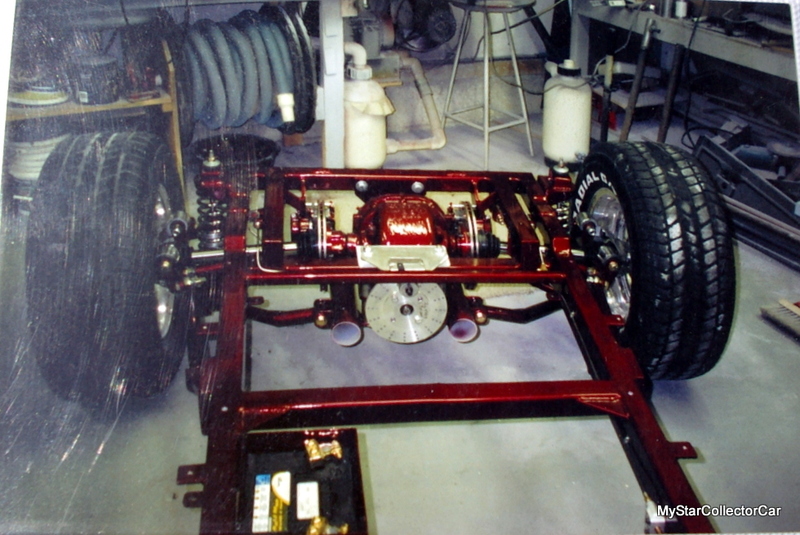 Russ also designed and built the rear end of the hot rod so it would meet his expectations from a performance point of view. 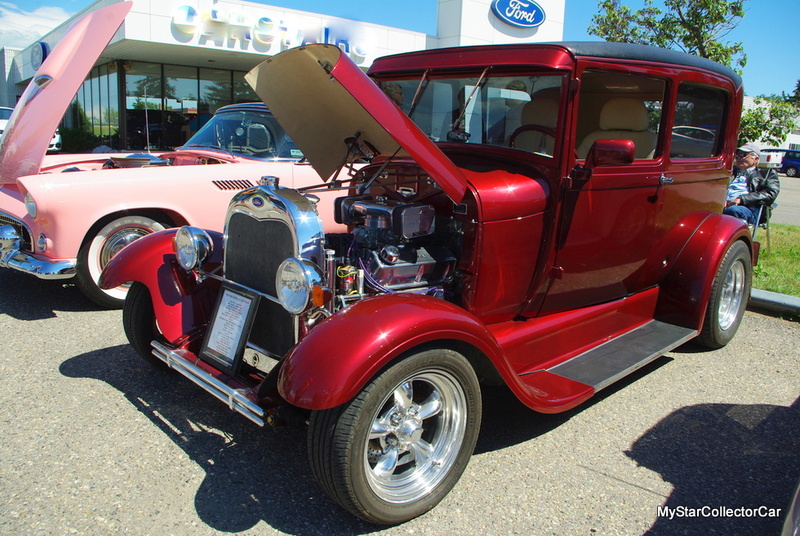 The ’29 Ford has undergone a major upgrade on its original brakes and now sports a four-wheel disc brake package that can slow down the fast car when situations dictate a quick stop. 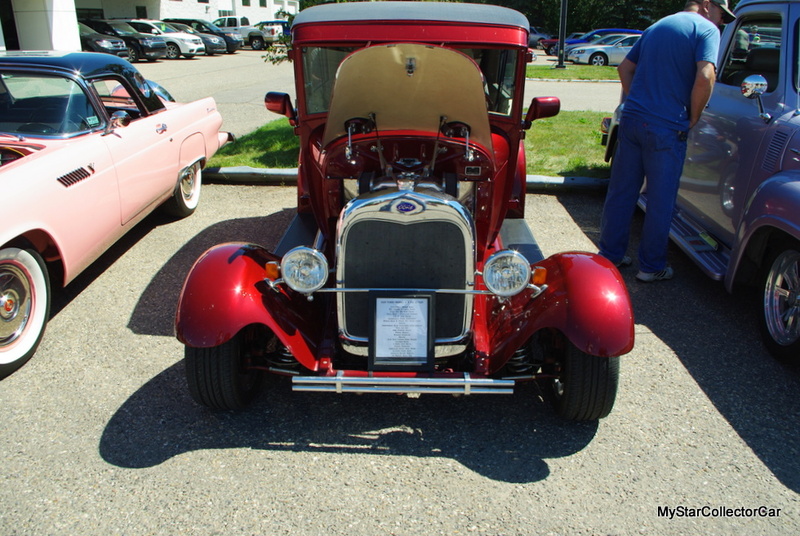 The Ford’s front end has an independent suspension system, along with a power rack and pinion steering system that is controlled by a unique tilt steering column that angles through the dash, has a vertical shaft that drops to the frame, transfers through a double chain steering box, and is linked to the front steering assembly by a horizontal shaft. 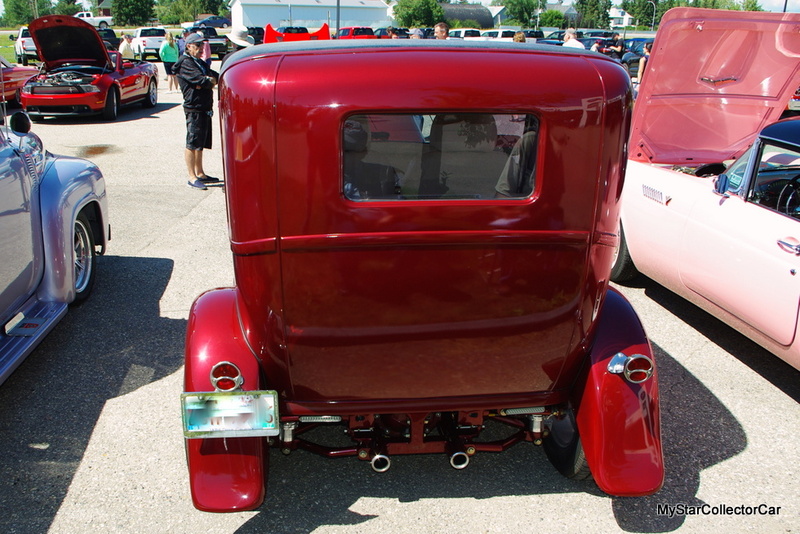 The custom process on the ’29 Ford did not end with Russ’s cosmetic, fabricating, and mechanical efforts because he also tackled the custom upholstery work on his car. 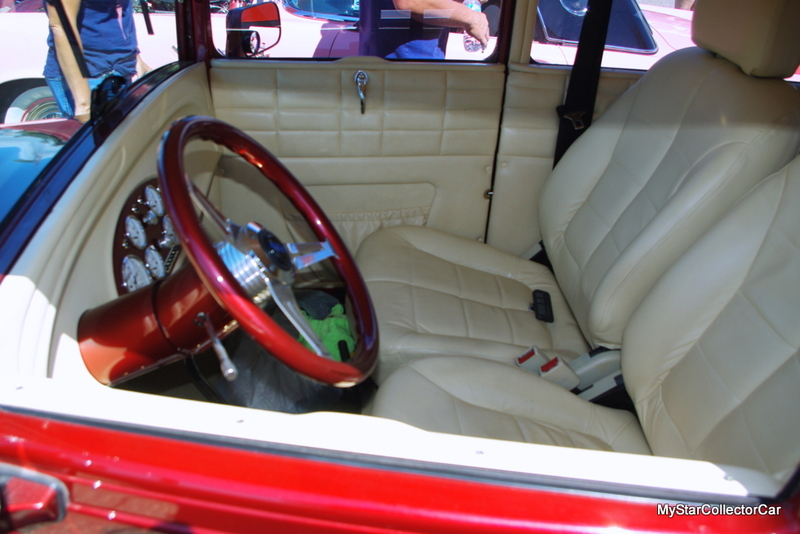 He used leather to refurbish the Hyundai front seats and narrowed rear seat donated by a Chrysler minivan. 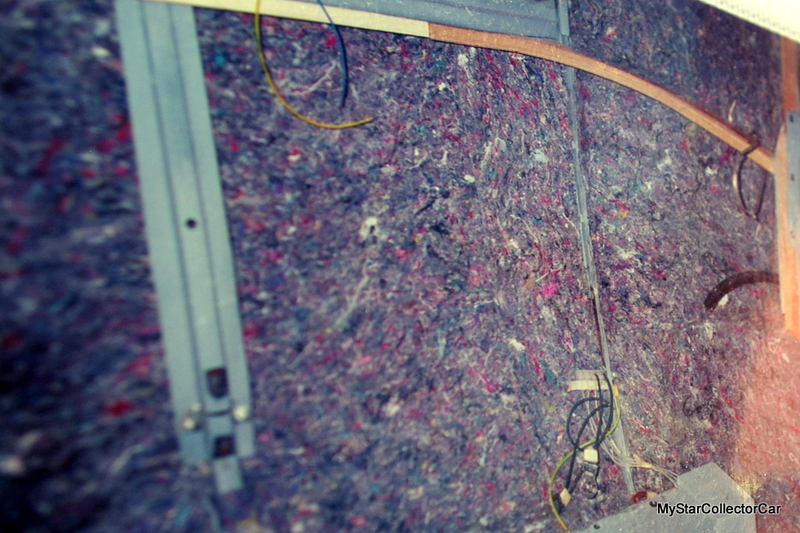 Russ used plenty of sound-deadening insulation in his project, although he still wants to tinker with the wind-proofing because the wind noise in his ’29 Ford is very loud when he pushes the gas pedal on the highway. The car was never designed to run at high speeds so Russ has to cope with a noisy cab until he figures out how to silence the wind noise. He figures the Ford’s factory flat windshield and the roof visor is one of the engineering issues that was not a problem in 1929 because of the lower speeds during that era. Russ added a few extra modern refinements to his electrical system. Now his Ford has a complete rear brake/signal light system (including a high mount brake light that is positioned at the bottom of his rear window) and modern halogen headlights that are a huge upgrade from the original lights. Russ should be very proud of his successful efforts to build one of the coolest 1929 Model A custom roads that MyStarCollectorCar has ever encountered in the car hobby; although he remained very modest about his achievement: “When you do something yourself, you can screw up 10 times and still be ahead of the game”.